It was originally intended that the Wester Hailes Partnership would have a lifespan of 10 years, and conclude operations in 1999. However, under the section headed “What Remains To be Done”, the 1997 Partnership report recognised that there was a “considerable regeneration task remaining” and announced that its work would continue on until 2002. 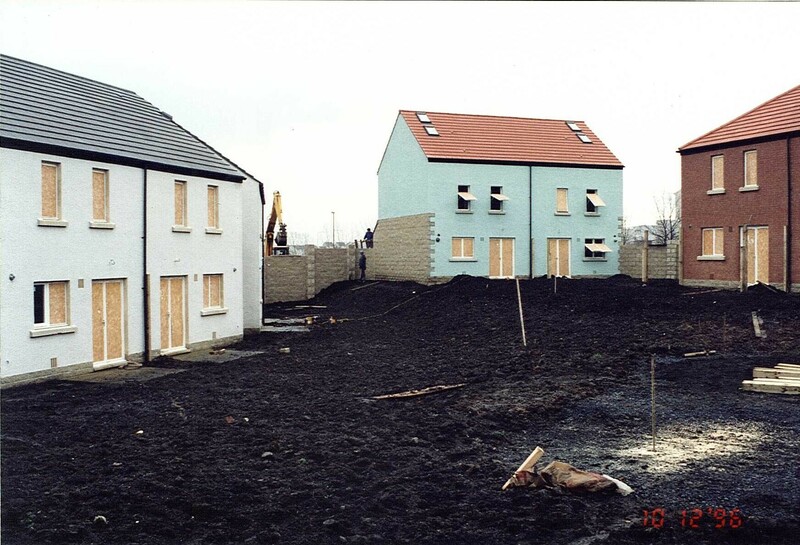 Here we are, just over ten years on from that, a good point at which to assess whether or not the Partnership wrought any fundamental changes to an estate which had struggled from the outset with housing, socioeconomic and environmental problems and to ask to what extent it succeeded in bringing lasting benefits to the lives of the local residents. The extended 1999 – 2002 programme was to be driven forward under the aegis of a new development strategy entitled “Maintaining the Momentum”. This was published in September 1998 and talked rather grandly of “enhancing and entrenching…the development of innovative, community owned and managed service delivery agencies” while its vision statement identified “economic vibrancy” and “an empowered, active” local community as key objectives. As has been noted in previous posts in this series, unemployment and the local economy were areas in which the Partnership had struggled to make any significant headway. Nevertheless, the 1997 report was bullish about the future. In particular, it highlighted a new flagship initiative, the Westside Training Agency, which had just been launched to provide training and improve access to employment. It also anticipated further job creation through “a range of commercial and leisure developments” on vacant land at Wester Hailes Park and Drive. However, even before “Maintaining the Momentum” had been published, the Westside Training Agency had collapsed, after less than six months in existence, due to the discovery of what the Sentinel reported as “financial irregularities”. Also, one of the main achievements trumpeted by the 1997 report, the Greenway Centre, a purpose built leisure and civic centre, survived only until 2003 when it closed because of financial difficulties. The lease of the building was bought over by the Wester Hailes Land & Property Trust who converted it into office space to let. The commercial developments at the Park and Drive never happened. Various schemes which were mooted never came to fruition. Part of the site was eventually redeveloped for housing while the greater part lay empty and derelict for m0re than 15 years and is only now being partly redeveloped as a Healthy Living Centre. While this is a very welcome development and will provide new, modern facilities to serve the local community, it is also something of a misnomer as the majority of the floorspace will consist of City Council offices occupied by relocated staff and will not create a significant number of new jobs within Wester Hailes itself. The 1997 report spoke of the the Wester Hailes Rep Council as being “one of the most sophisticated local democratic structures in Britain – from neighbourhood through to estate-wide management”. And yet, by 2002, the final year of the “Maintaining the Momentum” programme, the existence of this lauded institution was being called into question following an independent evaluation which concluded that it had become overly bureaucratic and had lost sight of its original objectives. It celebrated its 25th anniversary in 2007, but only three years later voluntarily dissolved itself following withdrawal of funding the previous year and having had to make all its staff redundant. In addition, as a direct consequence of this, most of the Neighbourhood Councils who made up the grassroots structure of the the Rep Council went out of existence. The demise of the Sentinel, latterly the West Edinburgh Times, had preceded this in 2008, also as a result of the withdrawal of funding, and after 35 years in existence. That same year, the Tesco store in Dumbryden closed after nearly three decades and relocated to Hermiston Gait despite efforts to get the company to redevelop land adjacent to the Wester Hailes shopping centre (could this be the only recorded case of Tesco actually moving out of an area?). In the context of these losses, it is hard to see “Maintaining the Momentum” as being anything other than a horribly ironic title for the culmination of the Partnership’s 13 year long efforts to transform and revitalise Wester Hailes. Nor do statistics suggest that anything was achieved in tackling employment issues. Through 2002 to 2008 unemployment remained well above 20% in Wester Hailes (around 30% in Clovenstone and Dumbryden) as against an Edinburgh figure of under 10%. In other words, there was no discernible improvement (in fact, actually an increase) compared to the rate at the start of the Partnership, while the gap between Wester Hailes and the city as a whole had remained as large as ever. Furthermore, since 2004, according to the Scottish Index of Multiple Deprivation, none of the data zones that make up Wester Hailes have moved out of the worst 15%. The majority remain in the worst 10%, over half in the worst 5% and, in terms of the key indicators used to measure SIMD, employment is the one which has fared the worst. It cannot be denied that a great deal was achieved in terms of housing and the environment. The vast majority of the multi-storey blocks, containing the worst accommodation, was demolished, transforming the skyline of Wester Hailes. In many cases, these monstrosities were replaced with lower density housing which was much more popular with local people. Hundreds of existing homes were completely refurbished. A greater variety of housing tenure was created and people started moving into the area to buy the new private housing which was on offer. 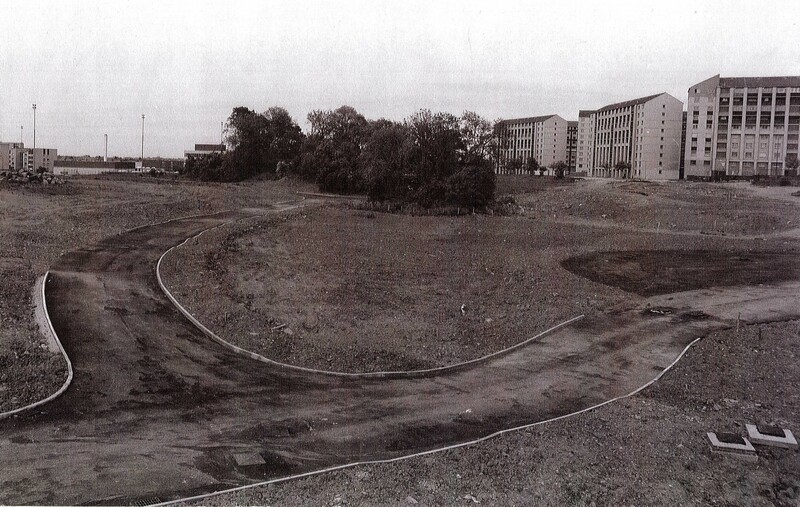 The general environment was improved and Wester Hailes, to this day, remains significantly greener in its physical aspects compared to many similar peripheral estates built after the war. The canal was re-opened after a gap of thirty years, partly thanks to the efforts of the community and the Partnership, and remains another enduring asset. Nevertheless, huge amounts of money were poured into Wester Hailes during the 1990s – to the extent that it got the nickname “Treasure Island” – and the underlying issues of poverty and deprivation have remained, more or less unchanged, up to the present. Most of the initiatives designed to tackle these problems had little real impact and quickly faded away along with the vision statements, high ambitions and bold promises that characterised the rhetoric which surrounded the Partnership. Wester Hailes is still, as the Partnership proclaimed at the outset, “full of potential” but, sadly, insufficient momentum was generated and maintained across the board and much that made this a special community has been lost along the way. Categories: history | Tags: community, housing, neighbourhood, regeneration, Rep Council, Sentinel | Permalink. 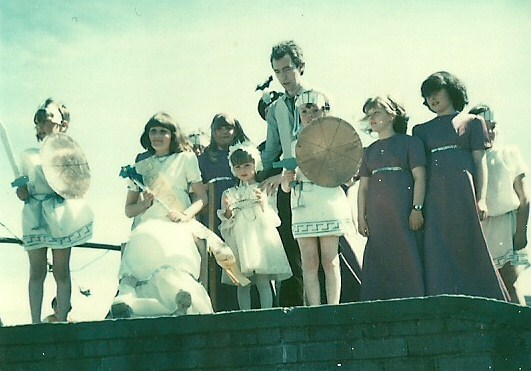 As part of the activity around this blog an audio clip of Jean reminiscing about the community activism around Clovenstone Primary School was recently uploaded. This complements the activities done by the Royal Commission for the Ancient and Historic Monuments of Scotland discussed here before. The sound clip came from me, Dr Peter Matthews, Heriot Watt University, as I am one of the partners in the project developing the “Off The Wall” QR codes and the digital totem pole. My involvement in the project is in two areas. One of them is to evaluate and better understand all the stories being shared on this blog and on the Facebook page. I will talk about this in my next blog post. My other role is that I am fascinated by all of these stories of Wester Hailes and want to share some of them here. I did the research for my PhD in Wester Hailes and Ferguslie Park, Paisley to better understand the big changes the neighbourhoods went through in the 1990s. In 2007-8 I sat in on most of the meetings of the old Rep Council and talked to many community activists past and present. For me as an academic, it was a fantastic experience and very interesting to hear what had happened. These stories I recorded helped us as academics better understand what it feels like to live through experiences where your neighbourhood is substantially rebuilt. I want to focus on the stories in this blog. Many people, and academics are particularly bad at this, discount peoples’s stories because, well they’re just stories. People forget things, or embellish details or don’t tell the truth. They are seen as not objective. For me, this is exactly why stories are so interesting. We all tell stories and it is how we make sense of what we experience and tell other people what has happened. This is a really nice story of community activity and one that was often repeated by the people who I spoke to in Wester Hailes and Ferguslie Park. It actually contains quite a few stories that are really important to understanding what has happened in the neighbourhood. Firstly there is a very positive story that starts about halfway through and ends with the last sentence – that Sheila helped get a youth group going and that the support that it provided meant that many of “these young folk with problems” are now “actually quite nice young men and young females”. Among all the bad headlines about Wester Hailes you don’t get to hear stories like this very often. The second story is right there in the first sentence and quite depressed. “Each area used to have its own…community centre”. In both Wester Hailes and Ferguslie Park in the years after 1999 there was a massive reduction in the sort of funding that kept community centres running. The lack of facilities for affordable fun activities for the community is still felt today. The third story is more complex and it was actually one of the main findings of my research. I called it the “narrative of project rise and fall”. It was told to me over and over again when I was doing my research and Sheila’s example is typical. Community activists start up a project and it’s an amazing success. They need a bit of money to keep it going and bring in a worker to take over some of the day-to-day tasks. It’s often at this stage that projects end because funding ceases and the worker leaves and the project ends. In this case the other fate befell the project – it was taken over as a mainstream service by the Social Work department and changed from its original purpose. It now just helped the most vulnerable young people. Very good work, but not what the original community-based project aimed to do. There is so much in this story that it is almost too difficult to unpack! As an academic who is interested in policies to support neighbourhoods like Wester Hailes I think a lot more money should be available for projects such as this and it should be a predictable amount every year that community groups can spend on what they want. In many ways as researchers involved in helping with this blog and the totem pole we’re also worried that this story will repeat itself again. We have all really enjoyed working in Wester Hailes and think it’s brilliant that we can use money from the Arts and Humanities Research Council Connected Communities programme [http://www.ahrc.ac.uk/Funding-Opportunities/Research-funding/Connected-Communities/Pages/Connected-Communities.aspx] to help. A big question though is: what next? I will cover this a bit more in my next post where I will talk more about the Facebook page. Categories: articles, interviews, people | Tags: Activism, community, groups, neighbourhood, people, regeneration, STIGMATISATION, Wester Hailes Representative Council, young people | Permalink. 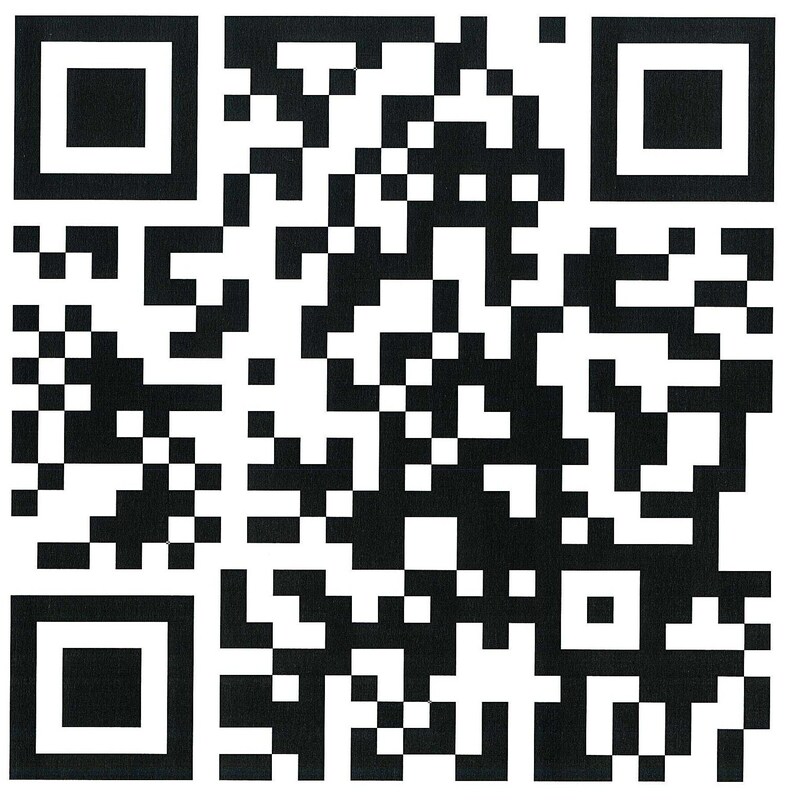 Got to grips with QR codes yet? They’re appearing everywhere: adverts, products, leaflets, billboards. They’re going to become a highly visible feature in Wester Hailes over the next few months. They’re a great way of quickly sharing images, memories and other information from a single scan. So they make showing images from the past extremely easy and relatively quick. Several projects developing in Wester Hailes are making good use of these digital shorthand codes to share social history and to capture other people’s memories and pictures. Wester Hailes Health Agency has just produced a great book of social history walks around the local area using QR codes, conceived and written by local resident Eoghan Howard. We’ll be bringing you more information on this in a future post. And WHALE Arts Agency has created an innovative totem pole with built in QR codes that will share and collect a wide range of information, news and views. Its almost ready to be installed and will be a great addition to the area. We recently highlighted a project Off The Wall that we’ve been working on with the Royal Commission on the Ancient and Historical Monuments of Scotland who’ve got a huge database of historical Scottish photos, including images and information about Wester Hailes. Off The Wall will work through QR codes placed on buildings around the area. These codes will link to photo albums on our Facebook page with a set of images for each neighbourhood of Wester Hailes. People will then be able to scan the QR code and compare the past to the present from where they’re standing. They’ll also be able to link up to the RCAHMS site to see more images. We’ve put the first album on Facebook today, showing past and present photos of Westburn. Once all the albums have been set up, we’ll be able to link them to QR code plaques. As a starting point, the albums will just have photos. But we want to add sound as well as a way of sharing people’s stories about the area. People can also add their stories through commenting on the album and on individual stories to build up the story of the area. And we hope people will also send their own photos in of the area, showing the landscape but also the events, meetings, activity etc that show all that was happening over the years beyond the fabric of the buildings. So check out the first album on Facebook and keep an eye out for QR codes appearing on a building near you! Categories: history | Tags: community, neighbourhood, people, Wester Hailes | Permalink. Thanks to the intervention of Wester Hailes Community Council there is now the possibility that the pedestrian walkway which will link the new Healthy Living Centre, currently under construction at Harvesters Way, with Westside Plaza could be extended and improved. The current proposals have been drawn up to fit into a very restricted area because an agreement reached between the City Council and AWG (the owners of the shopping centre) allowed for only three car parking spaces in the Plaza car park being converted to help accommodate the walkway. However, the Community Council has taken the initiative in this matter and written to AWG’s parent company asking them to consider making more of the car park area available so as to extend the space for the walkway and make it a safer and more accessible link. A reply has been received from AWG assuring the Community Council that this issue is being taken very seriously and that the company’s intention is to help and work with the local community. The ball is now in the City Council’s court to build on this positive response from AWG and reach an agreement for more land to be made available. As we highlighted in April, the Harvesters Way placemaking exercise undertaken by internationally renowned designers Gehl Architects identified the need for strong pedestrian linkages between the Healthy Living Centre to all parts of the surrounding areas. In particular, the link with the Plaza was seen as being of crucial importance in the successful regeneration of the derelict site. Categories: people | Tags: architecture, community, Design, environment, groups, Harvesters Way, neighbourhood, people | Permalink. Community celebration was a common theme running through the history of Wester Hailes. 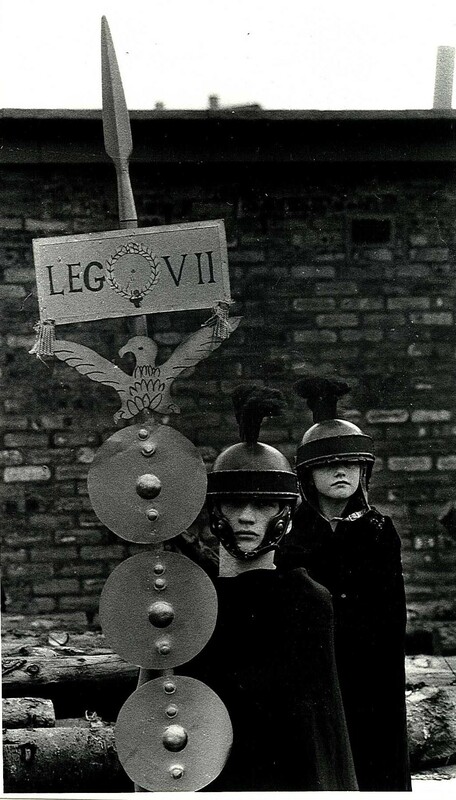 Each summer, great efforts were made to organise ambitious carnivals but also smaller neighbourhood focused events with gala days in each area. In 1983, there was an impressive programme spanning a week with a huge range of events including cafe cabarets, it’s a knockout, street barbecues, and the gala day parade. A recurring feature was of course the Gala and Carnival Queens. 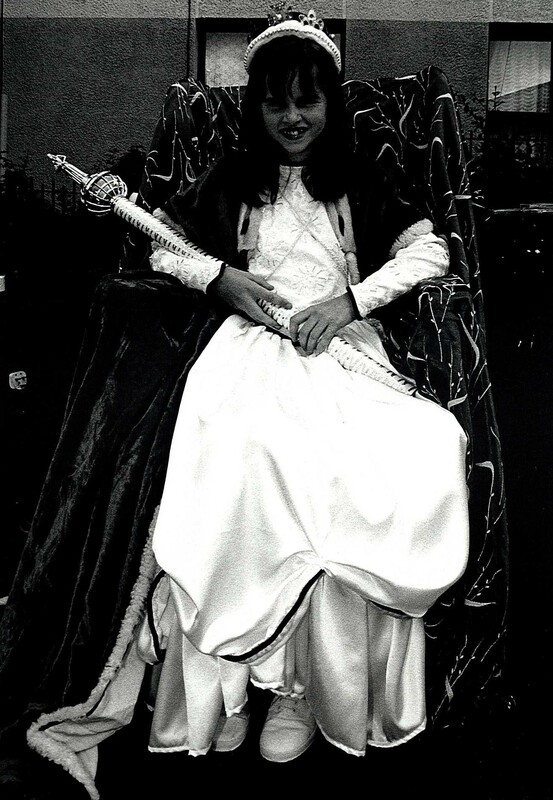 As well as the official carnival queen, each area had its own Gala Queen as these pictures from Calders and Wester Hailes Park show. The gala days were more localised and a great way of encouraging people to then join in with events further afield. The neighbourhood structure in Wester Hailes contributed greatly to people feeling involved in the life of the community and the neighbourhood celebrations were an opportunity to meet immediate neighbours. By 1984, the Carnival was stretching across a fortnight with a Wild West theme. 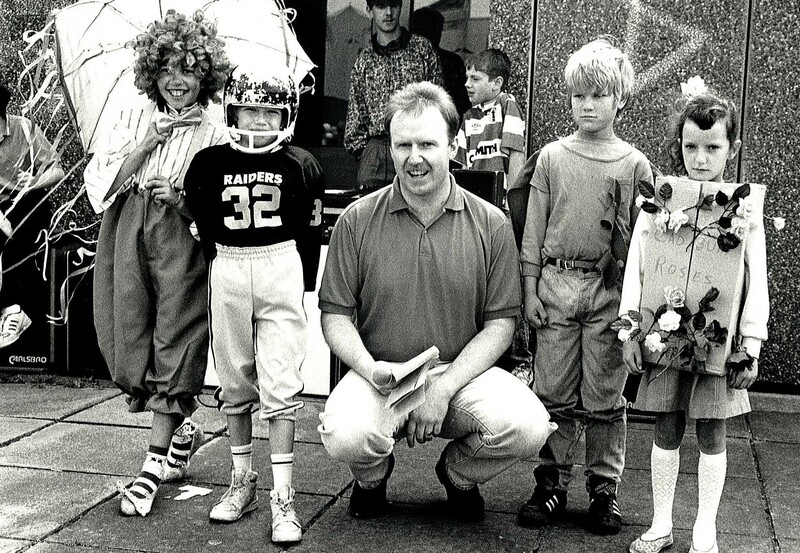 The 1980s seemed to be the era of carnival celebrations for the area, with a committee able to organise events and plenty of hands on deck to help run the various activities. 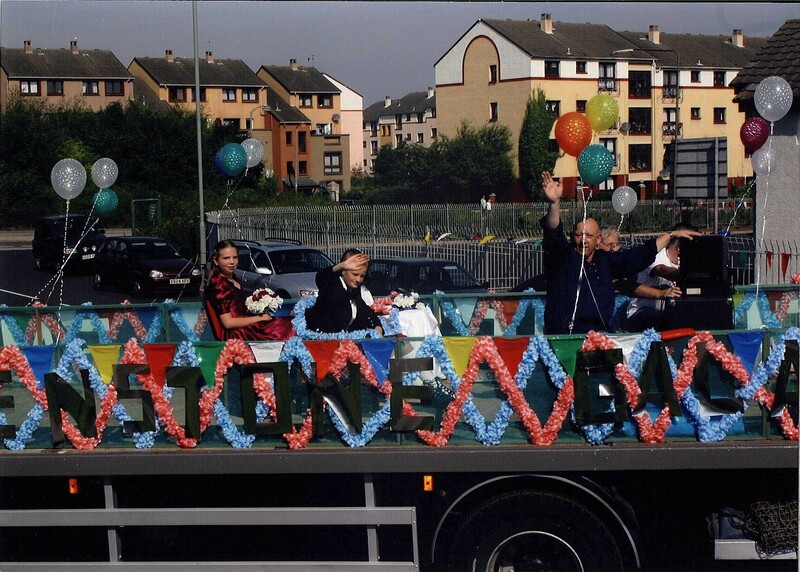 By the 1990s, celebrations had become more modest although the area was able to celebrate 25 years of Wester Hailes in 1995 with hundreds of people taking part in a procession that can be seen here. There are probably many reasons why community celebration events declined and the decrease in activity was not limited to Wester Hailes. There is no doubt that it does seem to have become harder to organise public events. Health and safety issues, whilst often necessary and helpful require greater planning and a greater level of responsibility. Funding remains elusive for any event that happens for more than one year despite the amount of people it benefits. Perhaps a new model is needed and the success of this year’s Big Lunch celebrations might be a consideration for next year. Slightly masked by the Jubilee theme this year, the Big Lunch, an Eden project, has actually been promoting the idea of neighbourhood parties for a few years now. West Edinburgh Time Bank organised a Big Lunch in 2011 and in 2012 at the Wester Hailes Health Agency. It would be great to see more of these in Wester Hailes over the next few years. Categories: newspaper, people | Tags: celebration, community, neighbourhood, Wester Hailes | Permalink. Following on from last week, here’s the second part of Lisa McDonald’s question and answer interview. Lisa moved to Wester Hailes in 1974 when she was one year old and went to school at Dumbryden Primary and then the Wester Hailes Education Centre. Did you work in Wester Hailes? If so, what was your job and can you tell us a bit about it? I worked in Greggs the Bakers in Wester Hailes Centre for five years while I was at school and college. It was a brilliant place to work, the girls I worked with in the shop were great and the customers were lovely (mostly!) too. It didn’t ever feel like hard work to have to go in there. My most embarassing moments there were the time I sold someone a fake Christmas cake on Christmas Eve not knowing it wasn’t real ( they never did complain!) and on my 18th Birthday the Centre security asked over the tannoy for all shopping centre customers to make their way to Greggs – little did I know it was so they could watch the stripping vicar kissogram my workmates had got for me! 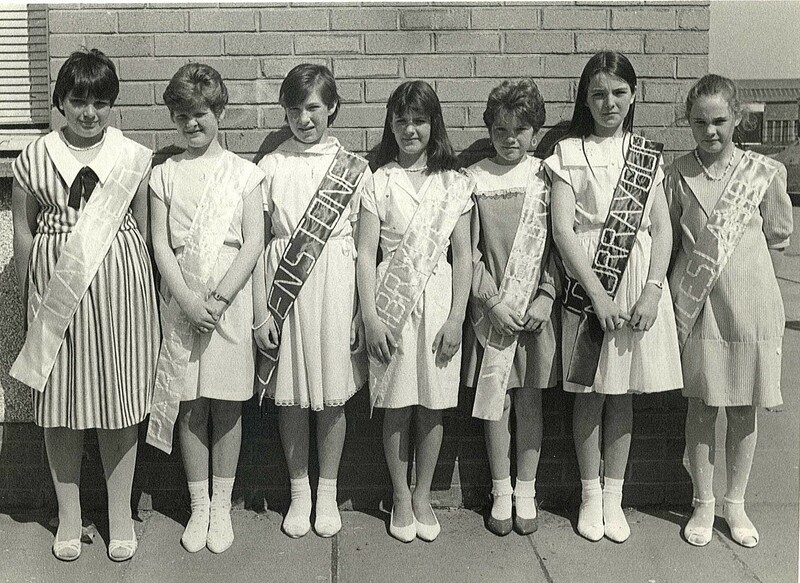 In what ways do you think Wester Hailes has changed over the years? I had a gap of around fifteen years where I didn’t go into Wester Hailes, so to me it feels like it’s changed massively. My primary school in Dumbryden has gone and Greggs has moved within the centre, but the biggest changes for me are the ones around Westside Plaza, especially with the canal being open. It’s great to see money being put into improving housing too. If you live somewhere else now, how does it compare with living in Wester Hailes? I still live in West Edinburgh now, so I’ve not ventured far and while it’s nice where I am now, there’s not the same community spirit that we had in Dumbryden. What was the best thing about living in Wester Hailes? The people and the community spirit. Other people’s perception of what Wester Hailes was like. Even now occasionally people will judge me or comment on me having been brought up in Wester Hailes, yet I’ve got nothing but good memories. Wester Hailes is like anywhere else, it has its good points and its bad points, but a place is only as good as the people who live there and the people I know from Wester Hailes are pretty good! What one thing would do most to change Wester Hailes for the better? Ensure that there are enough things for kids to do in the community so that they grow up to be proud of where they come from. What are your hopes for Wester Hailes twenty years on from now? That organisations like the Council, WHALE and Prospect Community Housing continue to invest in the area and the people to ensure that the community continues on. Also that the Facebook groups like “Dumbryden Primary School” and “From There To Here” continue to flourish – having an archive of the history of Wester Hailes is important and it’s all the better when the archive is being added to by the people who lived and continue to live in Wester Hailes. – Next week we’ll be featuring a page from the January 1989 issue of the Sentinel written and designed by fifteen year old Lisa and four of her classmates from WHEC. It’s all about Australian soap Neighbours and the pop group Bros (any Matt & Luke fans still out there?). Categories: interviews, newspaper, people, photographs | Tags: community, education, groups, neighbourhood, newspaper, people, photographs, STIGMATISATION, young people | Permalink.